You've heard of bathroom reading? Now, there is bathroom studying! Educational shower curtains are fun, and help students learn, too. College and high school science classes can be brutal. There is a lot to learn, and much of it must be memorized. 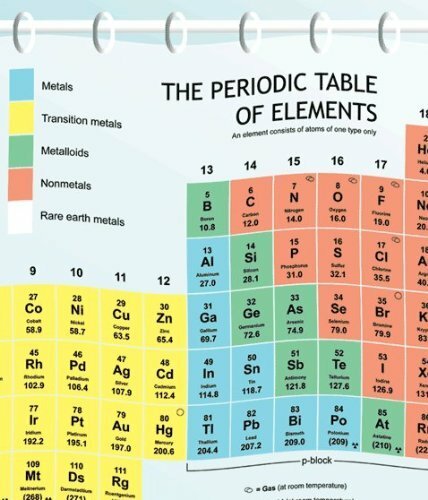 If you need to learn the periodic table of elements for chemistry class, try this Periodic Table Shower Curtain. You can study the elements and learn their atomic weights while taking a shower. The colors are bright, and the lettering easy to read. Since it is made of sturdy vinyl, It cleans easily. 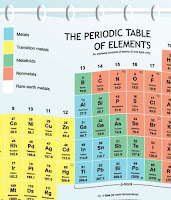 The chart is up to date and includes all the elements up to #111 (Roentgenium). The shower curtain could also used as a window curtain, or put on a rod on the wall in the dorm or student's bedroom to help with memorization of the information many chemistry are required to learn. High school and college chemistry instructors could find this helpful to hang in their classrooms, too. According to most experts, 65% of the population are visual learners. Even more learners are a combination of visual learner with one of the other learning styles, kinesthetic, and auditory. For instance, I am an 80% visual learner and 20% auditory learner. 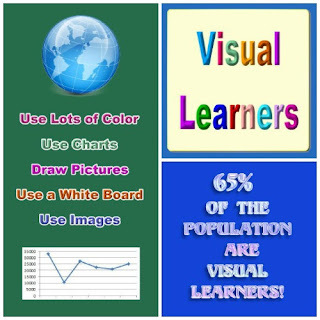 Visual learners learn best when presented information in a visual format. 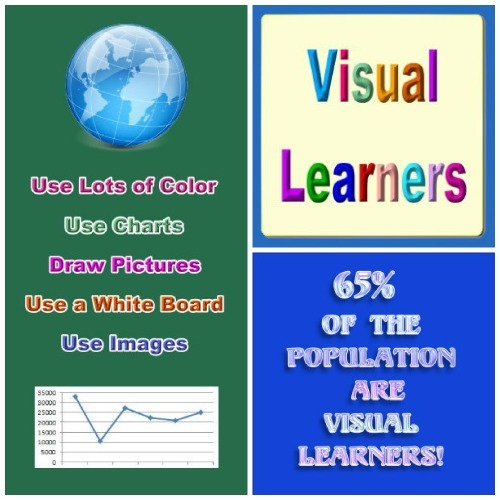 Images, color, posters, charts, or movies help visual learners retain information. Visual learners learn well anytime they see something, but color and presentation can make that easier. When preparing for an exam, visual learners can take notes or create outlines or mind-maps using different colors of ink. The colors will help the learner to remember the information and aids in recall. Drawing or doodling small figures on this will also be a valuable memory aid. For a free online learning styles quiz to help determine your personal learning style, visit Education Planner. Answer the 20 questions, then review the results. For medical and human anatomy students, consider the Human Skeleton Shower Curtain to help learn the bones of the human body, or one of those listed below. One of the reviewers of the human skeleton shower curtain mentioned that there is one typo on the curtain. Make it a game to locate the incorrectly spelled bone! Can't find a shower curtain with the right information for your studies? Try making your own! Start with a heavy clear or white shower curtain liner , and a set of colored Sharpie markers . Write information you need to know for tests, or formulas for algebra, trigonometry, calculus, and geometry classes on the curtain and hang it to help you review for tests! Do You Think Educational Shower Curtains Are a Good Idea?